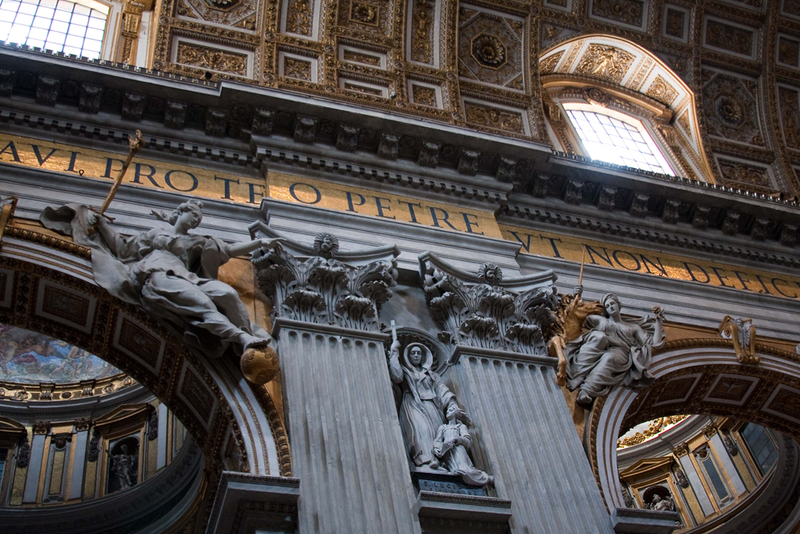 I would love to show a few photos of the Sistine Chapel, it is beyond describing. 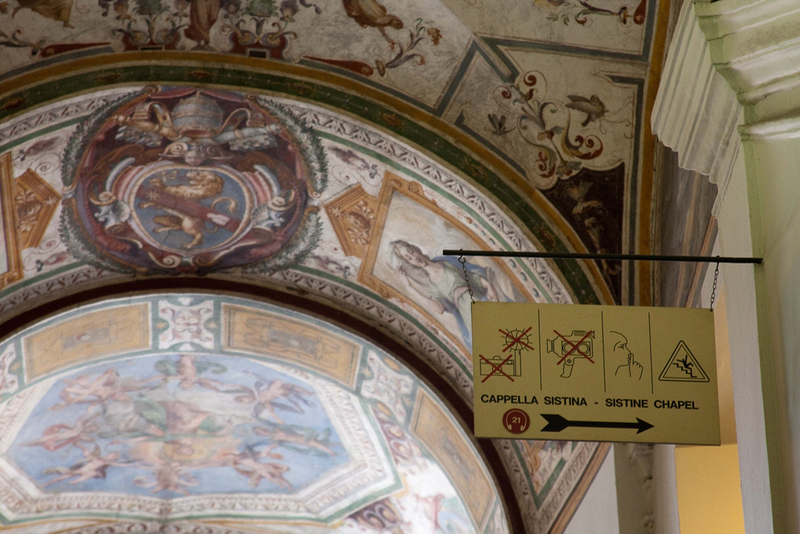 But no photos are allowed, although people clicked them off here and there (to be yelled at by the guards). It is as amazing as you would expect it to be. 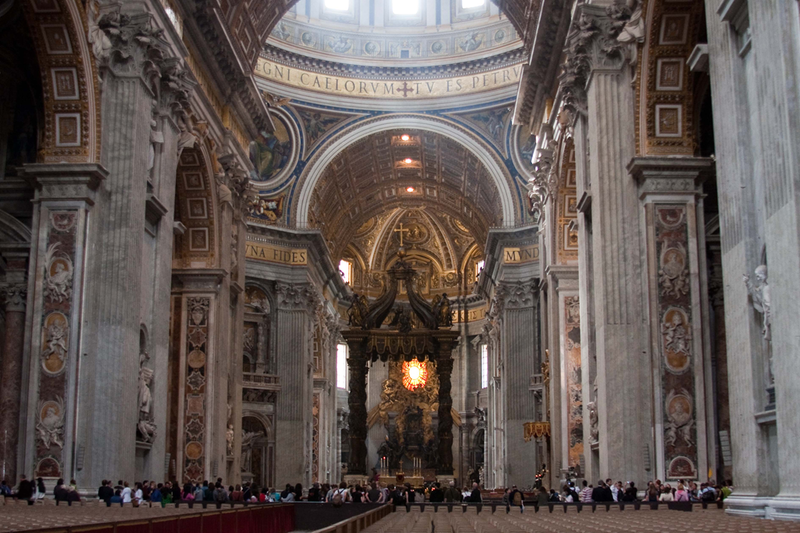 We finished out the tour with a walk into St. Peter’s, which is spectacular. Had we not been so tired (long walk), we would have headed up to the top. 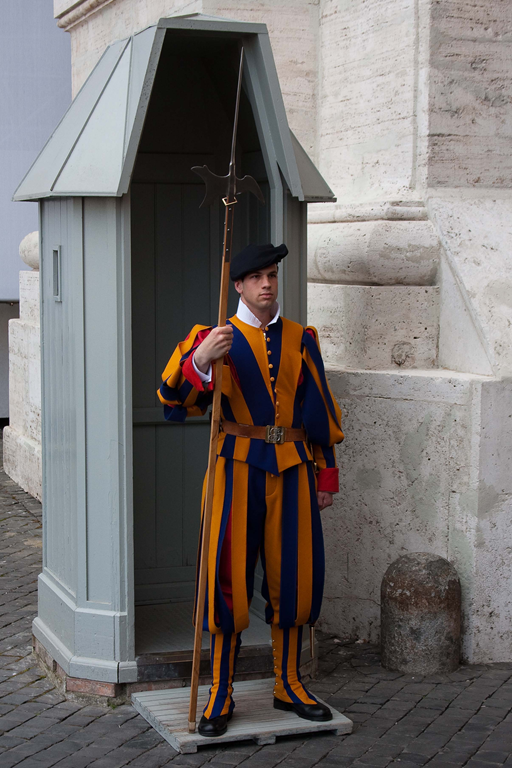 A Swiss Guard, trained to protect the church and the Pope. 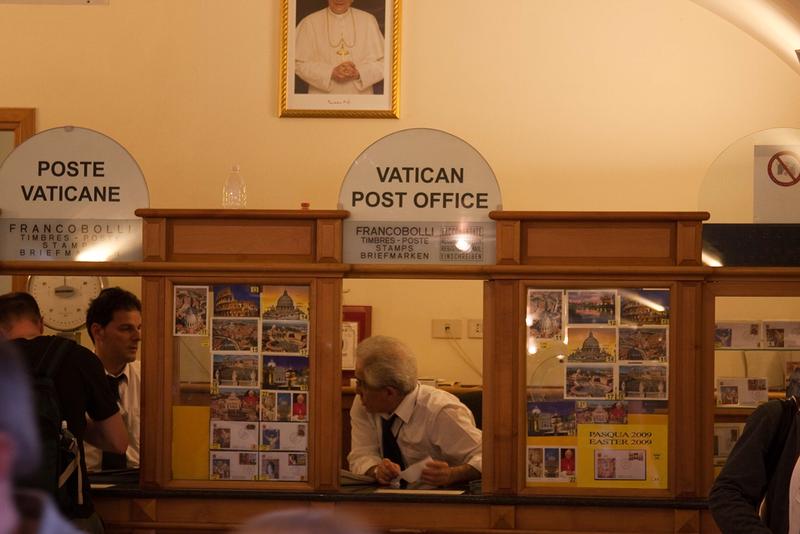 What I didn’t realize, that the Vatican has it’s own postal system …. 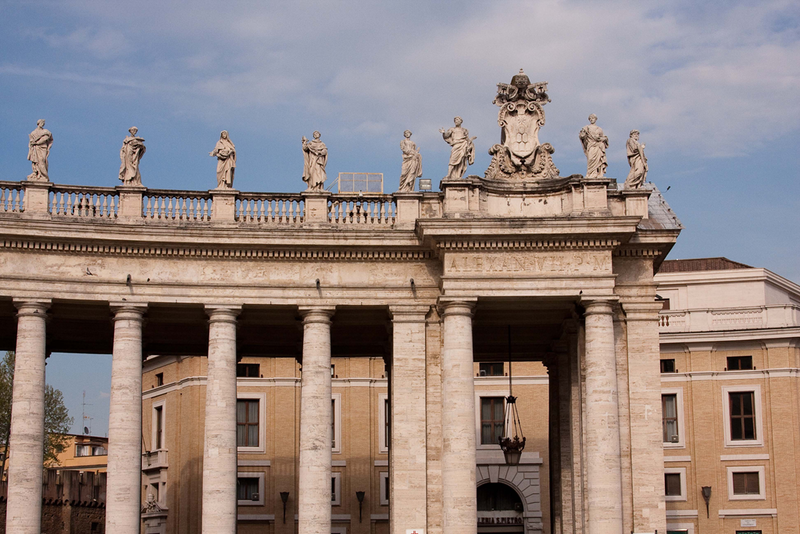 As you walk out of St. Peters, you enter Piazza San Pietro (St. Peter’s Square). 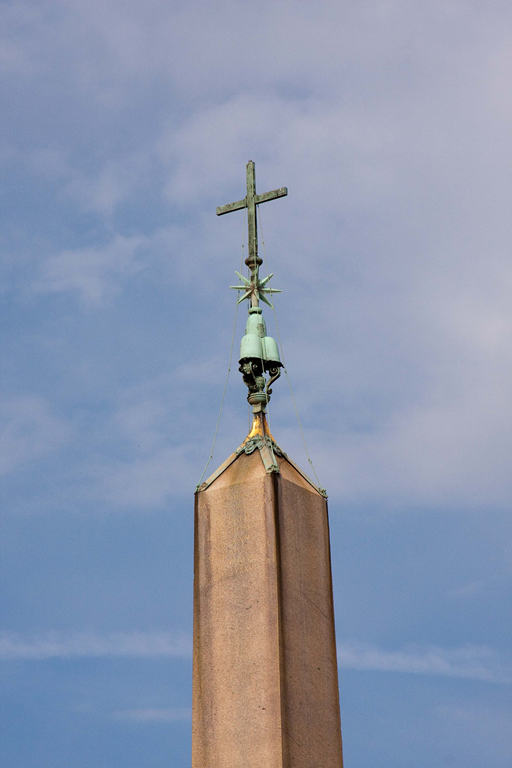 In the center is an obelisk that was moved to Rome from Egypt AD 87 (dates back to 13th century BC). And if you stand in one specific spot (marked), all of the columns line up perfectly under Alexander’s gate (they are four deep). And with that, our trip to Rome came to and end. And we only saw a small fraction of the city …. Off to Florence. 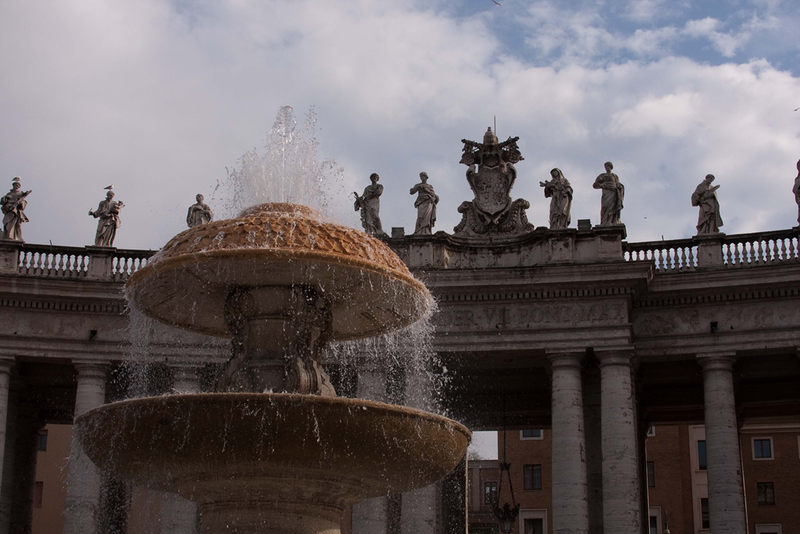 This entry was posted in Travel and tagged Alexander's Gate, Italy, Piazza San Pietro, Rome, Sistine Chapel, St. Peters, Swiss Guard, Vatican, Vatican City by michaelweening. Bookmark the permalink.